Looking for Home decoration ideas? 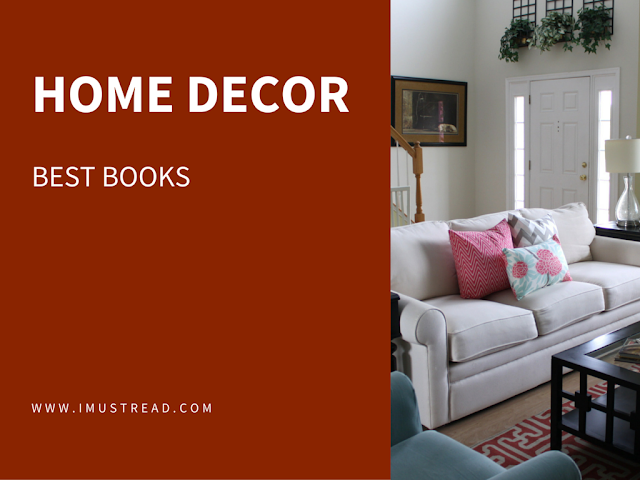 We have compiled a list of best home decor books for getting the home organized in unique way at the same time affordable price. Furniture, chandeliers and interior decorations, all breathe life into a home. With so many resources available for home décor, you can come up with literally hundreds of ideas for decorating your place. While thinking of a stellar home décor theme might be an intimidating task, the best way to come up with enthusiastic interior decoration ideas is by exploring specialized resources in the area. Here we list interesting home decoration books that are available online and can help you brainstorm excellent décor plans. Writer and designer, Kathleen Stoehr, has years of experience in designing and providing expert advice dictating the latest trends in home décor. This book has a huge collection of a thousand interior design photographs, carefully organized in a convenient way to be accessible to the user. Readers can easily identify potentially attractive colors schemes form the book and adopt the latest trends when buying their furnishings. The book covers a wide range of topics including window treatments, wall and ceiling decorations and different types of floor coverings. Thus, it aims to be a complete guide and help a home owner make the most of his resources in accomplishing the home décor challenge by himself. Don’t want a complete guide for your home décor? Check this book out. Jenifer Jones has compiled the greatest home décor ideas in one place. Her main focus throughout the book is on presenting the most inexpensive and robust home décor ideas she found. Her skill lies in guiding her readers to use spare materials already present in their home to decorate the house. A quick review gives you a fair idea of the themes that are covered in detail within the book. How frames alter the look of the decorations? How paint can be used effectively to reduce costs? Some of the most cost effective bedroom decoration ideas. Guide on using pallets and chalkboards successfully. Repurposing decoration plans to make them more operational. Another great book on cost effective and quick home décor ideas is M. Kaye’s, “The Frugal Home”. It contains the most innovative ideas for decorating your home while you are at it. The perspectives presented within this book are not only inexpensive, but can be altered to fit most budgets for home decoration. This book for beginners is one of its kind and contains very useful strategies on decorating and renovating your home on a budget. The book covers unique ideas for newbies to give them a kick start on their home décor planning. It also gives enviable tips to beautify your home on a budget. Clara Taylor is an authority in the home décor industry and so focuses on providing useful advice regarding some of the most difficult facets in the field. This includes the best information regarding the financial aspects of home décor. This book has a unique twist to it. Although it is targeted towards people looking for home decor ideas, it is also an exquisite complication of useful advice on cleaning, re-organizing and de-cluttering your home. How to avoid common mistakes when cleaning your home? The Inspired Room form Melissa Michaels, a New York Bestselling author, gives you some of the finest advice on making practical improvements to your room’s interior design. The book is a haven for home décor enthusiasts. It also cover details for making the right use of color tones and styles around the house. An accomplished blogger in the home décor niche, Anne Sage’s book takes its readers on a journey to make their dwellings a place they have always dreamed of. Filled with ravishing ideas for the best ways to redesign and decorate homes into a completely different place, the book is a true classic and contains a lot of material for interior decorators and newbie home owners alike. It can help new interior designers make excellent choices regarding the designs they choose for their projects. This nature inspired book invites its readers to infuse natural elements in their designs and give a completely different touch to them by following the ideas presented in this three part book. It is quite an interesting compilation of the designs which use flowers, weeds and other natural features in them. A treasure for nature lovers. Let’s face it! This New York Times bestseller gives loads of advice on organizing and decorating your home. A “Lovable mix of DIY Design Projects”, the book finds its value in making your homes beautiful and livable quickly. A very interesting read, with a lot of useful material. “Styled” follows the philosophy of styling your home so that even with a few quick little tweaks, you enhance the look and feel of the house. Filled with more than a 1000 ideas and tips on using Emily’s unique philosophy in your home décor plans, “Styled” takes you into a completely new dimension of the interior design industry. With these books, you will find a wealth of ideas, tips and actionable advice regarding the best ways to achieve phenomenal results in your home decorating plans. However, a good way to use all this advice effectively is to first complete your research and carefully plan the designs for your home. Then implement them in a manner you like. This article is brought to you by P&M Landscaping.